Condensation (hot air from cooking and bathing onto cold walls) in the winter is a real problem, living with mouldy walls, clothes and furniture is not fun. It’s uneconomic to have the heating on all day and so the outer solid walls never warm up. After lots of research we decided to warm up our problem walls by insulating them. 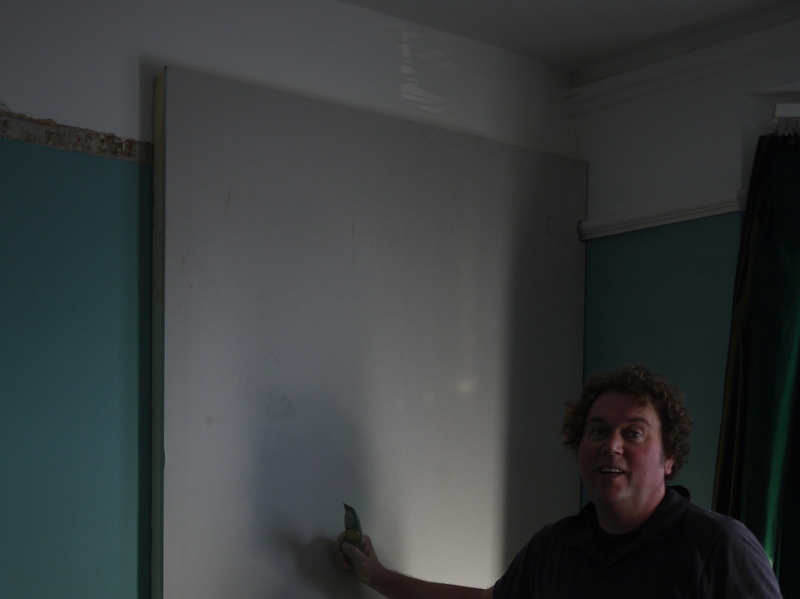 I fixed plasterboard with foam insulation attached directly to the walls and decorate. At 50mm thick it is the current building regulations standard, also increasing our properties energy rating. My wife also said it hides that nasty old plasterwork. Now we have our furniture up close to the walls and no more mould. PLUS the rooms warm up quicker and we have been able to turn down the boiler temperature, by half. It makes sense to insulate our house walls as we insulate our lofts. Please don’t hesitate to contact me with ask any questions. Airflow (another blog to come). We would also recommend heat recovery unit. This entry was posted in Brighton Carpenter, Brighton Loft Conversions, Carpentry, Jackson Loft Conversion, Loft conversions, Velux Window Fitter and tagged airflow in Victorian flat, cold external walls, condensation, cured condensation, cured condensation in my flat, insulate my house, insulate our walls, insulation, mouldy walls, plasterboard with insulation attached, problems, solid victorian wall condensation, Victorian flat, victorian house. Bookmark the permalink.